Hotchkis HPS 1000 Shock UNKNOWN - Pann Auto Performance - San Diego largest aftermarket automotive performance parts - What do you drive? The HPS 1000 shock is designed like all other Hotchkis Performance parts, it´s designed to perform. Shocks need to be tuned with spring rates and vehicle weights in mind, that´s why one valve fit´s all or universal shocks just don´t optimize performance often sacrificing ride comfort for performance. Tuned in house and manufactured by Bilstein this shock offers a seamless transition between comfort and control. Each shock is specifically engineered and tuned to offer the ultimate performance and ride. 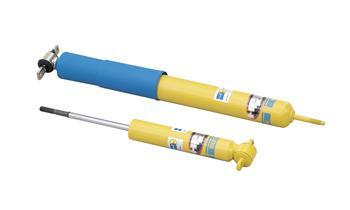 HPS 1000 shocks make a great addition to the Hotchkis TVS packages.